This opera starts with a death that turns into love, and ends with a love that turns into death. What happens in between is a passionate longing that cannot reach fulfilment in this world, hence the ending in a love-death, the Liebestod, which ought to be a wonderful climax but fell flat under the ineffective conducting of Peter Schneider in an intellectually silly production by Christoph Marthaler. 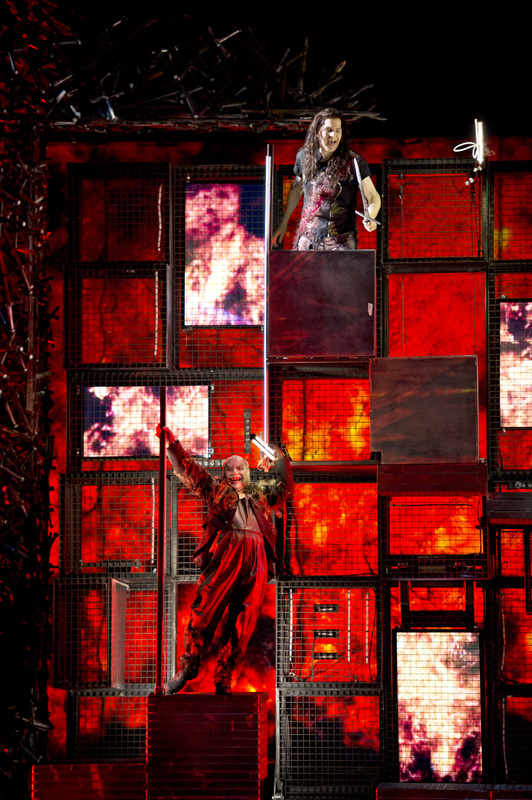 On this first night of the 2009 Bayreuth festival, under the new direction of Eva Wagner-Pasquier and Katharina Wagner, we had the singers for the parts, but not the parts for the singers in this wretched production. 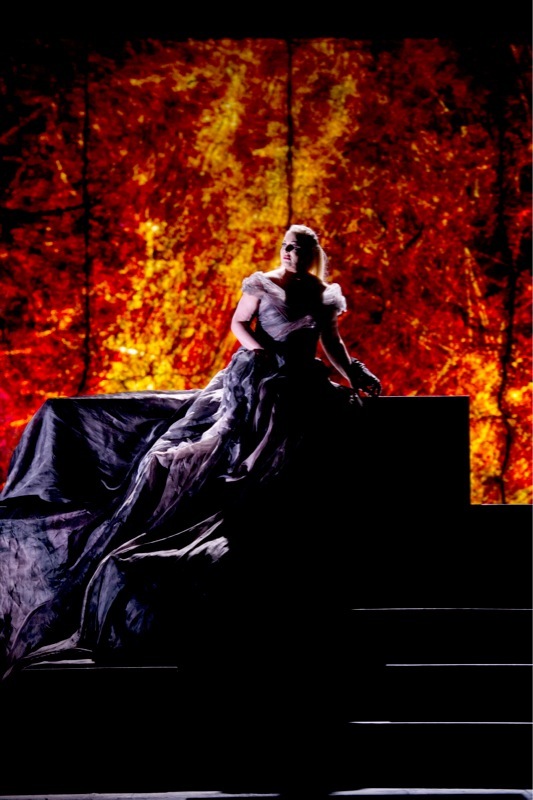 Tristan was Robert Dean Smith who sang with his usual restrained and beautiful tenor, and Isolde was Iréne Theorin, who sang strongly, but without any great beauty. The first act takes place in the large lounge of a drab ferry-boat, which works after a fashion, but suggests King Mark is somewhat less than a king, and indeed his and Melot’s costumes in the other two acts made him look more like the ruler of some small principality. In Act II the set is raised and we are in a lower level, with fluorescent overhead lighting that gives a clinical coldness to the room and flashes in perplexing ways that seem to interest Isolde, as if it were a means of communication from her husband. 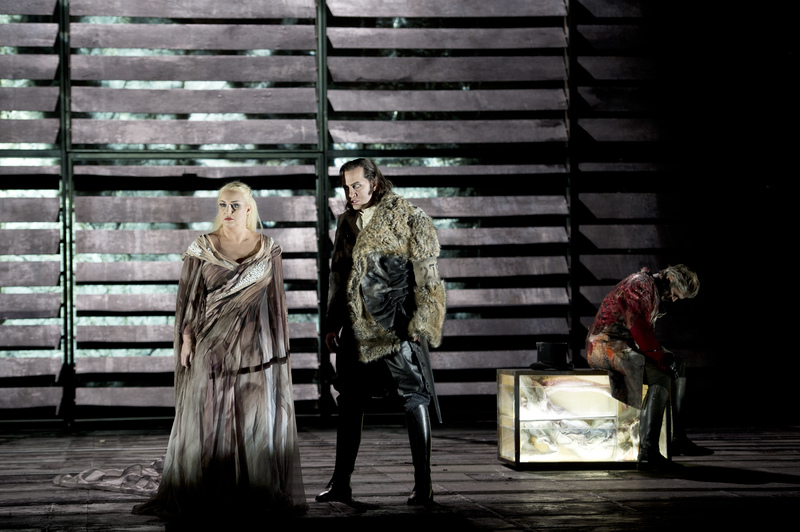 There are just two seats in the centre of the room, which the lovers occupy for a while, sitting side by side, but when Mark and Melot arrive, hiding behind doorways, the king observes the lovers through powerful binoculars, but there is nothing to see — Tristan is on one side of the stage, and Isolde the other. The harsh lighting completely takes away the magic of the scene. Isolde is dressed in a very unflattering 1950s two-piece suit, and when Tristan, in his blue blazer with a badge, over a pullover, shirt and tie, responds to Mark’s perplexity by saying was du frägst, das kannst du nie erfahren it is sung as if he is simply a schoolboy answering a question in class. In Act III the sets are raised yet again, revealing a lower level, rather like a dirty prison hospital, with the fluorescent lights from Act II lying around and flashing sporadically. Tristan lies in a bed, with Kurwenal shuffling slowly about like an old man. He is clearly incapable of killing Melot, and doesn’t try. The act ends with Tristan lying on the floor, and the rest of them standing facing walls. 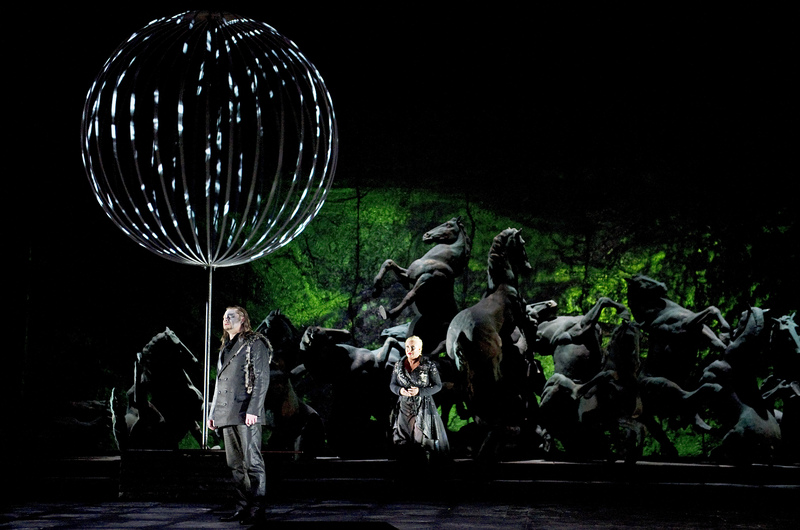 Isolde sings the Liebestod, slowly getting into the bed and pulling the sheets up over her face at the end — a limp conclusion to what should be a great opera, not helped by Peter Schneider as conductor, nor Iréne Theorin as Isolde. 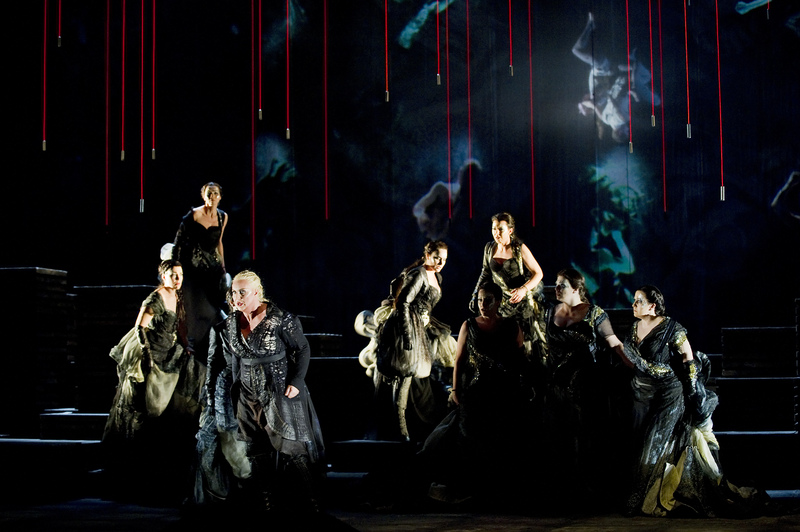 Among the rest of the cast, Michelle Breedt in her frumpy costume was a supportive Brangäne, Jukka Rasilainen in his bargain basement kilt sang strongly and sympathetically as Kurwenal, Ralf Lukas was a strong Melot, and Robert Holl sang King Mark competently but with little conviction. Altogether a not very inspiring Tristan, in a grim production, but far worse was in store with Meistersinger on the following evening!